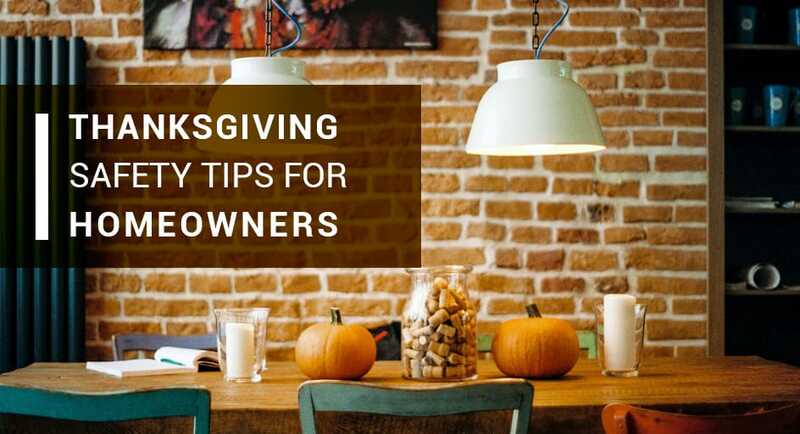 Thanksgiving Safety Tips for Homeowners - Kellon Insurance Agency, Inc. Most of us see Thanksgiving day as a time for joy. Making memories is the only thing on our to-do list while we kick off the holiday season with good food and family. However, believe it or not, Thanksgiving is one of the most dangerous days of the year for homeowners. With all that cooking, socializing, and drinking (sometimes too much!) happening in the same place, tragic accidents occur every year on this otherwise great holiday. Keep reading to learn more about how to protect your home when the festivities start. Nothing stops the festivities cold turkey like a house fire. Unsurprisingly, cooking is the leading cause of home fires on Thanksgiving. Make sure you don’t leave cooking food unattended. If you’re frying a turkey, make sure to keep the fryer outdoors and away from all structures that can catch on fire. Check your smoke alarms beforehand to ensure that they’re in good working condition in case a fire does break out, and keep fire extinguishers and baking soda close by to nip flames in the bud. Of course burns are a likelihood on Thanksgiving, but the chances of a scald or burn can be reduced by refraining from wearing loose clothing or dangling sleeves while cooking, and keeping children at least 3 feet away from the stove at all times. Also be cautious of which family member gets to wield the large carving knife, even if they swear they’re the man or woman for the job! Remain aware of who has been drinking, and be prepared to discreetly reduce the flow of alcohol if it appears that some folks have had more than their share. These may sound like obvious warnings, but knife and alcohol-related accidents are two of the biggest reasons for emergency room visits on Thanksgiving! Hosts aren’t the only ones who need to watch out for their homes on Thanksgiving. Break-ins always increase around the holidays because burglars know that people are less likely to be home. If you have to travel for Thanksgiving, especially if you’re gone for several days, be sure to set your burglar alarm, put lights on timers, and let trustworthy neighbors know when you’ll return so they can report any suspicious activity to the police. These are just a few things to keep in mind before you celebrate the feast of the year. It’s important to always practice safety, but a day like Thanksgiving isn’t a time for worry; that’s what insurance agents are here for. As long as your home is covered with a good insurance policy, you should relax and enjoy the food and fun with relatives and friends!